It’s Mii! 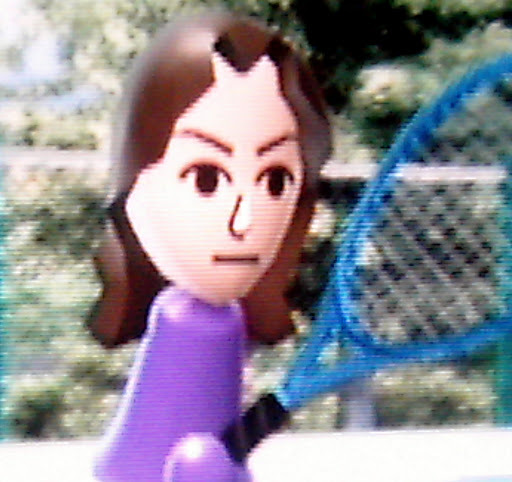 (A Wii me, for the uninitiated.) I love love love Wii tennis. You can probably tell how good of a player I am by my focused, determined look and my smooth two-handed backhand. I’m way behind in posting about books and vacation. We just got back from two weeks in Belize. Our first trip to Central America, first trip to the Caribbean, and first trip to the jungle. I’ll post a couple of pictures later, but the real travelogue will be on Flickr.